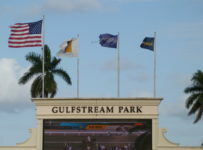 Bettors and horsemen will be monitoring the skies at both Florida thoroughbred tracks on Wednesday afternoon. 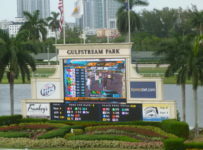 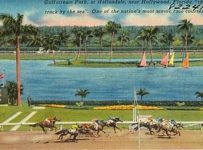 Thunderstorms are in the Accu Weather forecasts for Gulfstream Park in Hallandale Beach and for Tampa Bay Downs in Oldsmar. 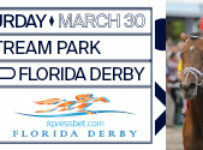 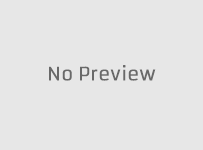 We will have reports on the weather and on the racing on our blog, which can be accessed on the menu bar at the top of this Web site’s home page. 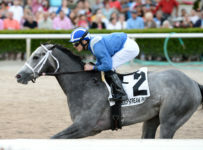 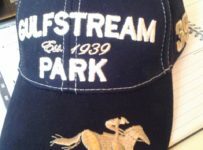 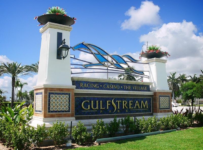 Gulfstream has an 11-race card with first post of 12:35 p.m.
Tampa Bay has a nine-race card with first post of 12:25 p.m. 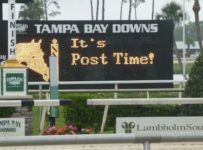 Following morning rains, Tampa Bay has moved Wednesday’s seventh and ninth races from the turf to the dirt track. 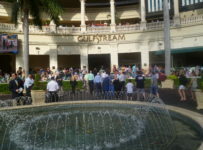 As of 11:15 a.m., the fifth race is still set for turf. 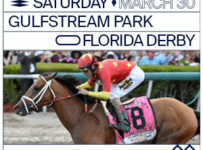 It is the day’s only other race scheduled for that surface. 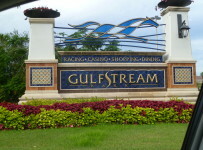 Also as of 11:15 a.m., it was not raining at Gulfstream. 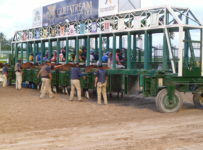 The dirt track was listed as fast and the turf course was listed as firm. 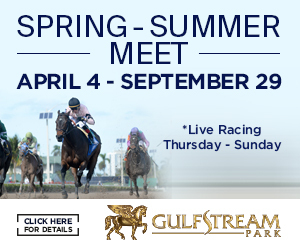 The first, fifth, seventh and eleventh races remain scheduled for turf.